I became in amputee in March of 2015 and received my prosthesis in May. My insurance company and the doctor rated me between a K3 and K4 for fitness level and decided that this foot ankle system would give me the best overall motion and ability to ambulate safely. As I don't have much experience with different feet and ankle systems other than what I have read and watched on YouTube, I may not be the best to take advice on here. However I would like to drop off my two cents worth on this wonderful foot and ankle system. 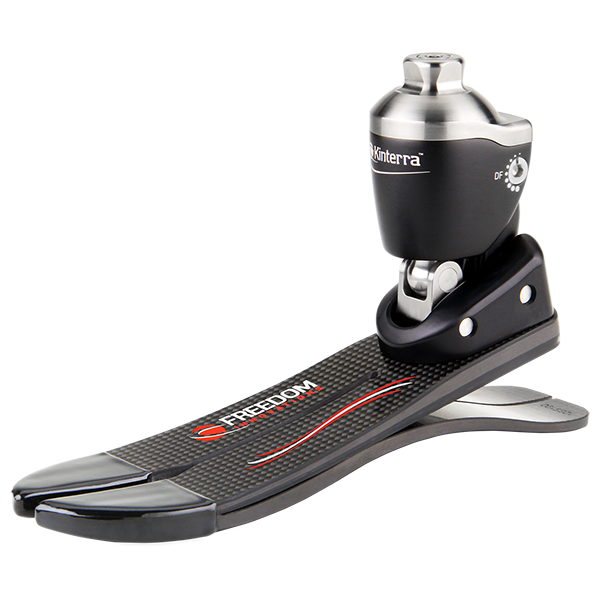 The Kinterra Freedom foot and ankle system allows for motion that rivals that of a real foot. With the exception of lateral movement of the ankle, which would allow for rotation of the foot. I like to golf and am having difficulty rotating through my swing. Overall it is very easy to walk on comfortably. My stump is still pretty tender and the socket is still a bit loose in places, but the actual foot and ankle perform exactly like I remember my "meat" foot did.